Every now and again, the Bald Explorer has to invest in a new pair of shoes. Naturally for walking over the rugged muddy terrain of Great Britain I visit one of the many outdoor specialist shops that sell just the kind of gear for that purpose. Here I find a myriad of shapes and styles to choose from and depending on my price range I can make my selection and away I go. When filming the videos for the Bald Explorer website, however, I try to look reasonably stylish, just for the sake of the camera, you understand. Many have confused this look with ‘Quirky’ and who am I to argue. The main thing is, I believe, to be comfortable in all situations from the toes up. Now, because I am not always ascending a hideously steep mountain or trekking across the snow covered ice packs of Antarctica, I just need comfortable footwear which I can happily stroll the highways, back lanes and paths of this nation in, but also amble through a public building, clamber up an old church tower and drive my beat up old car in. 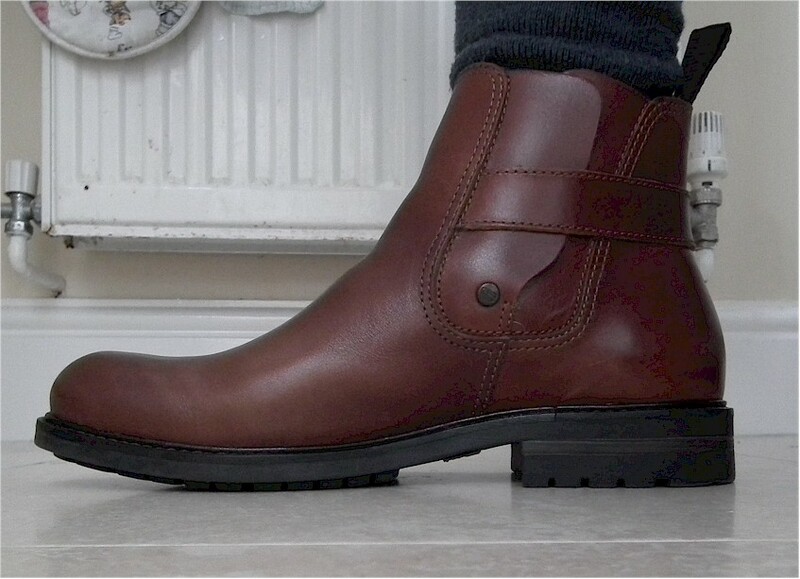 So with this in mind, I have selected an all purpose smart 100% leather boot from Jones, the Bootmakers and I am rather hoping they will last a few years. I cannot say they were cheap, but when it comes to foot wear I don’t think you want to scrimp too much. It is essential to look after your feet and keep them in good shape. They take a lot of pounding in life and to wear the wrong kind of shoe for extended periods of the day isn’t going to do you any favours. So when you are out filming you do need something that allows you the freedom to do many things. Next time you watch the Bald Explorer videos, take a look at the ends of my legs and check out the clodhoppers I am wearing . In the very first episode I started with a pair of Converses, and while they are an excellent deck shoe for lounging about the house, I soon began to crave for something more sturdy especially towards the end of the long days stomping the streets of Lewes I can tell you. If you have a favourite kind of boot that you like to wear, I would love to hear about it. Post your thoughts below!